You’re upgrading your home entertainment system or your computer screen. But you’re bombarded with meaningless jargon. One of them is “upscaling”. What is 4K UHD upscaling? How does it work? And do you need a special monitor or Blu-ray player to do it? Here’s everything you need to know. Upscaling converts low resolution material (most often video or images) into a higher definition. It’s certainly nothing new: upscaling occurs when you output DVD footage to your Full HD television. However, only the first three are widely used. 8K televisions are huge and never took the market by storm. They look amazing, but prices are similarly incredible. Most consider 4K the best quality available for your home. Note: There is a difference between Ultra HD (UHD) and 4K—but for all intents and purposes, these differences don’t affect regular household consumers. Their disparities are typically only notable for those in video production. Upscaling produces video that utilizes your monitor’s maximum aspect ratio, even when playing a lower resolution video. Most flat-screen TVs have a 1920x1080p resolution, resulting in 2,073,600 pixels in total—that’s 1,920 across, multiplied by 1,080 rows of pixels. A 1280×720 HD movie doesn’t use all the available pixels; it only uses 921,600 of them. That’s a huge deficit. A device that supports upscaling, then, “fills in the blanks”, effectively stretching the image across the entire screen. It does so using an interpolation algorithm. This infers new data by extracting from known elements; it tells “blank” pixels what to do based on what those surrounding it display, and then duplicating that content. This doesn’t sound like a fair interpretation of a film. To counter this, many manufacturers apply sharpening software to market their products, thereby reducing pixelation or softening. Contrasts are often tampered with to make an image look more vivid. Should You Buy an Upscaling Blu-ray Player or 4K TV? Upscaling can be handled by either your TV or a capable device, i.e. a Blu-ray player. The PlayStation 4’s upscaler is especially impressive too. Naturally, Blu-ray players are the cheaper option. They’re typically below $200, while a 4K TV can cost a lot more. Suffice to say, any connected device can only upscale to the maximum resolution of your screen. There’s no use buying a Blu-ray player that boasts 4K capabilities if you only have a Full HD monitor. Indeed, most upscaling is implemented by your television. Don’t be tricked by a player that boasts superior upscaling: in the end, your television is the limiting factor. 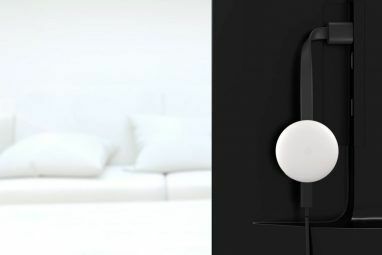 Your TV will be responsible for making that leap to higher definition. 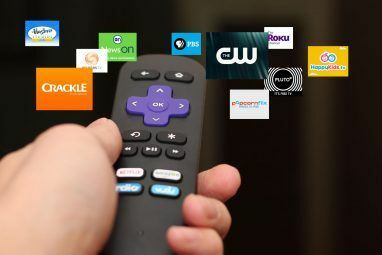 It does this with all signals, whether you’re watching a DVD, Blu-ray, normal TV channels, or through a streaming service. Even if a Blu-ray player is capable of upscaling to an impressive 4K, if your TV doesn’t support this, you’ll simply get the highest resolution your set is confined to (often 1080p HD). You’re probably wondering if 4K TVs automatically upscale. If they didn’t, lower resolution images would appear small on a big screen, likely surrounded by a large black border. However, the quality of the video resolution upscaler included will depend on how expensive the screen is. The best 4K upscaler will be top of the range. You get what you pay for. But there is a decent medium to be reached. The cheapest option isn’t necessarily the worst; vice versa, the more expensive won’t be the best either. Which Is Better: Upscaling or “True 4K”? Is there a difference between content filmed in 4K and content upscaled to 4K? Absolutely. The latter will always be inferior. Upscaling—sometimes known as upconversion—implies precision. But it can’t add more detail than is already present. It’s an educated guess made by your device. That’s why Blu-rays aren’t pointless. They give you the nearest definition to cinema without a 4K Ultra HD television (which has 3840x2160p); so yes, quality also naturally depends on the equipment used. 4K is what most movies are filmed in. That doesn’t mean you’ll be able to enjoy classics in UHD. To watch Real 4K films, you’ll need a 4K TV, UHD Blu-ray player, and a HDMI cable (ideally HDMI 2.0). 4K discs are more expensive than usual Blu-rays, but frequently come with a HD version too. If you’re future-proofing your collection, these are a good option. What Are the Downsides of 4K Upscaling? Upscaling sounds like you’re getting 4K video quality from 1080p video. That’s not what it is. It’s far from perfect. 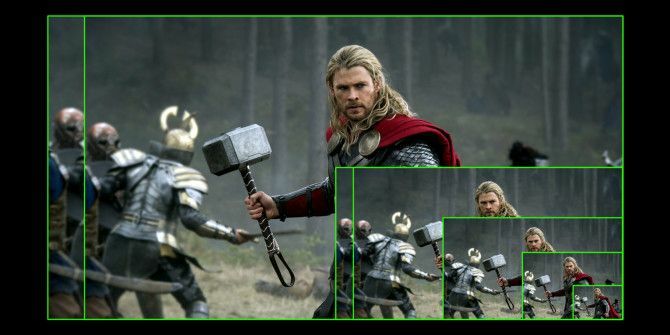 It stands to reason that there would be problems with technology that forces a picture into duplicating its pixels to create a fair estimation of a higher resolution. The main problem with upscaling is the possibility of visual artifacts, increasingly an issue with fast-moving videos. While some material might appear stretched, one notable trouble is the ringing idiosyncrasy, which appears as a “ghost” or further outline around objects. Blurring and distortion of any sort will be most noticeable the closer you are to your television or monitor. In effect, upscaling can work against itself. In an effort to gain a higher resolution, older program can appear less sharp as they’re stretched beyond the boundaries they were originally meant to be viewed in. Better resolutions will always be desirable on desktop computers. That’s why 4K computer monitors also upscale input to the full 3840x2160p resolution. Yet none of us use PCs or laptops to solely play movies, and the side-effect of a 4K screen is a very mixed performance. Icons, for example, appear ridiculously small. In short, 4K computer monitors aren’t worth it right now. If you want to play a game in all its detailed glory, you’ll need a seriously good graphics processing unit (GPU) What Is the Difference Between an APU, a CPU, and a GPU? What Is the Difference Between an APU, a CPU, and a GPU? Over the last five or more years, there have been a number of different terms swirling around to describe computer hardware. Some of those terms include but aren’t limited to APU, CPU, and GPU. But... Read More , which can prove expensive! Not always. Sometimes, older content will be blurrier than intended. Nonetheless, many films were filmed in higher resolution and only stored in 1080p. That means the information originally captured on film was lost. Upscaling doesn’t restore it. Upscaling merely infers data based on surrounding pixels. If you’re sitting at a sensible distance from the television, upscaled movies will appear clearer. 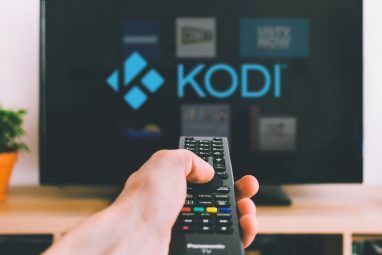 Upscaling from a Blu-ray player is a great option if you still love your extensive DVD collection; however, your television is the limiting factor. If it isn’t a UHD TV, you won’t get UHD content—so don’t be fooled by showroom tricks Buying A New TV Or PC? Avoid Showroom Tricks That Cost You Money Buying A New TV Or PC? Avoid Showroom Tricks That Cost You Money Over the years I've become more and more resistant to their tactics and approaches, thanks mainly, I think, to the realisation that they haven't been entirely honest with me. Read More that make screens look better than they will at home. Explore more about: 4K, Blu-ray, Computer Monitor, Home Theater, Television. Good article, but I'm looking for someone to explain the plethora of setting changes that may need to occur before you actually can put into effect up scale images. Does the "auto" setting on a bluray player upconvert or do you need to have it set to 1080p? The same questions can be asked about TV settings. The players don't tell you when upconversion is taking place so you have to guess whether it's happening and if so which is doing the upscaling, the player or TV. On Black Friday back in 2017 we bought one of the first true-4K UHD Blu-ray players, made by Samsung. At the time only Costco and Best Buy were selling it, and it was just $150. We already had a 4K Sony Bravia XBR series Android OS TV, along with all the proper HDMI cables to support true 4K for when we decided on the right 4K BD player. We bought the TV itself a year before, on Black Friday in 2016 for just under $1,800--mind you it's a 65" TV that also supports 3D Blu-rays and other 3D content. And by the time we bought our 4K BD player, there was already such a large selection of 4K discs that we're natively 4K, so no 'mastered in 4K' or any need for upscaling. So..... my point here is that (affordable) true 4K content has been around since 2015, without a real need for upscaling. And one more thing I would like to mention is that you say in this article that DVD's are mainstream hard-copy media and that Blu-rays are a niche market... I have to strongly disagree with you. Yes, I'm posting this in January of 2019 but my goodness... Blu-rays have been mainstream--and totally affordable-- since at least 2012/2013. DVDs used to cost between $20 and $30, then when Blu-rays became mainstream they were the same price, and DVDs dropped $5 to $10 in price; and now that every movie is released in 4K UHD Blu-ray, they're on average $25 and have been since at least late 2017. 35mm film (films shot before Digital filmmaking) has a native resloution of 6-8K. So 4K digital has been a step BACKWARD for theater presentation, but a step forward in home video presentation. (Unless you are viewing 35mm film at home). Digital has a long way to go to match the resolution of film. (70mm Imax DUNKIRK on film in theaters was 18K - 70mm digital version was 4K). All movies (from 10 years ago and before) shot on 35mm film have a native resolution of 6-8K. The Digital revolution has been a step BACKWARD in theaters (8K film is obviously much better than 4K digital), but a step forward in home viewing. (Unless we are watching 35mm film at home). Excellent article. Just was wondering if it is more prudent to let an uprezing Blu-ray player do the heavy lifting or shut off that feature and let the TV take over? Otherwise, one of the best and most informative, simply to understand, but densely packed with info articles I have read on the subject thus far. Many thanks. This article doesn't even answer the question in the title. It basically says "How does upscaling work? Algorithms." We all already know if uses algorithms. What sort of algorithms? How do some upscalers differ from others, antialiasing, etc.? Anyone who has ever messed with the Extron scalers (which actually give you some control over how an image is scaled line by line) can provide more detail than this article does. It seems more like an ad for 4K than anything informative. I have a 4K TV but so far no media in 4K or indeed anyway to playback such media. I do have a number of DVDs and Blu Rays and the TV and player does a really fine job of it and broadcast HD programmes are excellent to watch. I'm not plagued with any nasty or indeed apparent artifacts even on fast action but 4K it isn't. However, with true 4K media now on offer in the form of Disks and Streaming and 4K players released by major electronic companies, I'd say 4K is worth it now and has come down in price to a level which, more reflects it's entertainment worth. I know there are so many great places in the world and events I will never get to go and see for myself but with 4K it really is as good as being there now (if I where my glasses anyway! ), with actually standing there of course. Before long with 3D feeds that virtual travel will be even more immersive and realistic. So I'm interested in getting a Samsung 4K TV that has upscaling and eventually a Samsung 4K upscaling Blu ray player. I currently have a Yamaha reveiver which has 4K pass through (always on) and 4K upscaling (optional). My question is, which devices would I need to have upscaling on and can there be any cons of stacking upscaling? I have a 4k TV and a regular blue-Ray player. If I want to play 4k BDs would I be happy with Upscaling? Also is a true 4k BD player backward compatible and will it upscale regular BDs and DVDs? 4K Blu-ray players are backwards compatible and WILL play Blu-ray, DVD, and CD. They will also upscale regular Blu-ray and DVD. It seems like it's not true 4K. I have a 4k Samsung Curve. but is a 4k blue ray player backward compatible to DVD or even VCD? You need a 4k blu-ray player in order to watch a 4k dvd. Blu-ray players that upscale won't work. There’s a difference between 4K Blu-ray player and 4K Upscaling Blu-ray player. 4K Blu-ray-ray players will play 4K UHD Blu-ray Discs in addition to regular Blu-ray Discs and DVDs and will upscale your regular Blu-ray and DVD discs. 4K Upscaling Blu-ray players can only play regular Blu-ray Discs and DVDs, but will upscale those for your 4K TV. I personally don’t understand why they created 4K Upscaling Blu-ray players when a regular 4K Blu-ray player will do the same job in addition to playing 4K UHD Blu-ray Discs. It’s stupid when you think about it. Hi Philip my name is Alejando and I have a question, do I need to buy an upscaling Blu ray player or is it enough with the upscaling from my Tv? I own a samsung UNJU486500 its an UHD Tv but I don't know if it upscales automatically or if I have to able it at settings or something like that. I don't know either if it has a good upscaling quality or not. Thank you everyone for you answers. Im from México and native UHD Blu ray players haven't arrived here yet so I dont have that possiblility. Darn. I came here wondering this very same thing, I wish it was answered for you so I could know the answer as well. I have a new 4K uhd tv. Frequently there is a momentary disruption in the audio and video (lasting only a few microseconds). Cable input, HDMI cables have all been tested and are operating properly. Wondering whether this annoying little glitch is a result of up scaling. If so, thought I would contact manufacturer to see if a software or firmware update is being developed to address it. It probably you blu ray player or the dvd player you use not the tv. I had the same until i did a firmware update on my blu ray player and now I no longer get audio dropouts. I don't exactly know why it does it but it has something to do with compability between the blu ray dvd and the player not your hdmi or tv. Hope this helps. @John: Unfortunately yes, you'll be stuck with a player that can only upscale Blu-ray Disc content at best. Blu-ray Disc players won't have drives ready for the new triple-layer media, and they won't have HEVC hardware decoders needed for Ultra-HD Blu-ray Disc movies. The new players will be a significant amount more money than the relatively inexpensive upscaling players on offer from Samsung, Sony, LG and others. Unless your UltraHD TV does particularly bad scaling, you'll probably be fine hanging back and waiting for UltraHD Blu-ray Disc to hit early next year. So, I have a Question. I have a 65" UHD TV. If I buy a 4K upscaling BD player now, will it work with 4K BD's when they hit shelves? Or will I be stuck with a player that only has the ability to upscale, not play native 4K from the disc. This is nothing new, and I don't see why the article tries to present it as such. It's been around since Video for Windows in Windows 3.1; it was used if you resized a (thumbnail-sized) AVI playback window. DScaler/dTV has been around since at least 2001, and was one of the first 3:2 pulldown software. Windows Media Player for Windows 95 supported resizing its window, scaling the output to match, as well as "full-screen" mode. Old DVD players, which decoded "wide-screen" movies on a standard CRT TV, would downscale 720x480 video onto a TV screen, where the typical resolution is 480i, or about 352x240 interlaced. I don't think Philip's intention was to present it as something new, Howard. This is part of our "Technology Explained" series, which isn't about "newness" as much as just breaking jargon down for someone who doesn't know about it. Ah. Mentioning some of its history (beyond "DVD players that upscale to HD," which is rather recent) might have been in order, then, as well as the fact that we've been using it for decades without realizing it (downscaling DVD video to SD TVs, for example, or hitting "Full Screen" in media players or YouTube). I appreciate demystifying things...but you also have to let people know how we've also taken this for granted. Yeah, Mihir's right in that I wasn't trying to present it as new, but yeah, I do see what you mean; I didn't mean to imply there wasn't a history of upscaling. I considered including downscaling, but I wasn't sure it was relevant to anyone making a choice about buying, for instance, a new TV or monitor (who I mainly aimed this at), so decided not to. An excellent quality reference BluRay player like the OPPO BDP-103 Blu-ray Disc Player; is a good choice. It plays all disc types, CD, SACD, music DVD, DVD and bluray. And will a very good job upconverting you movie discs. It is also a fraction of the cost of comparable high end disc players.